Hobo bags can be best described as slouchy, crescent-shaped bags worn over the shoulder or across the body. The easiest way to identify a hobo is by looking at how the bottom of the bag is shaped when carried. 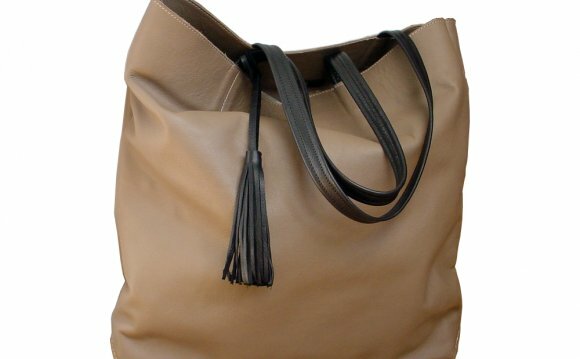 Hobo bags have a curved or droopy bottom. They are, by far, one of the most common shapes of handbags found in collections from both designer labels and affordable brands alike. The name "hobo" originates from the shape of these bags. They tend to resemble the shape of a bindle on a stick that hobos carried in popular cartoons. Unlike the cartoons, however, today's bags are stylish accessories reflecting the latest trends in everything from the materials to the details. Hobos come in a variety of sizes but most are made of soft, flexible materials such as butter soft leather, faux-leather, and fabric. Sometimes these bags (particularly super slouchy styles) are associated with a bohemian look, but more often you will find sleek, sophisticated styling for the discriminating fashionista.